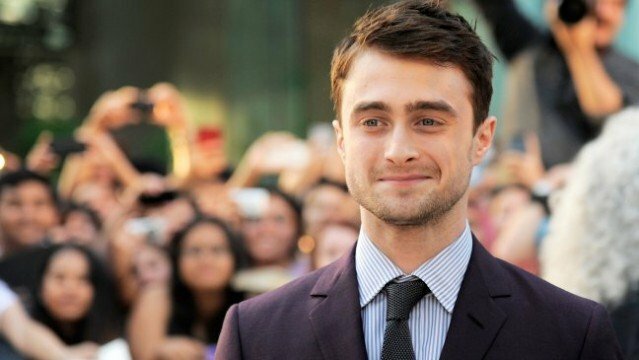 Further crowding his already packed schedule, Harry Potter star Daniel Radcliffe has signed on to star in Atomic Features and Tycor International Film Company’s FBI thriller Imperium. Deadline reports that the in-demand actor will play a wet-behind-the-ears FBI agent who gets on the trail of white supremacists who are plotting to make a dirty bomb. Diving headfirst into a dangerous criminal underworld, the agent finds himself changing as he takes on an undercover identity. Imperium is loosely based on the experiences of Michael German, who was an undercover agent for the FBI who spent many years infiltrating neo-nazi and militant groups within the United States. Today, he’s a recognized expert in terrorist group behavior with a particular focus on right-wing extremist groups. Daniel Ragussis penned the script with German, and he’ll make the jump from short filmmaking to feature-length with the project. Snagging Radcliffe is a considerable casting coup for the relatively small-scale thriller, and his presence alone should bolster Imperium‘s case for a wide release. Shooting is set to begin this fall, and the project will have to stick to that schedule rigorously if it’s to keep the actor involved. In addition to doing press for Victor Frankenstein this fall, Radcliffe has some other major projects on the way including quirky indie comedy Swiss Army Man with Paul Dano and Mary Elizabeth Winstead, and BBC2 telefilm Game Changer, which focuses on the tension-fraught creation of the Grand Theft Auto video game franchise. When compared to his Harry Potter co-stars, Radcliffe has done strongly in the wake of the blockbuster franchise’s epic conclusion. Though Emma Watson has tackled more sizable roles (she’s playing Belle in Disney’s Beauty and the Beast adaptation and is gathering Oscar buzz for her performance in next month’s Regression), Radcliffe has showcased a solid range, moving from horror (The Woman in Black) to romantic comedy (What If) to whatever the hell Horns was with panache.